My brother Jeff wrote a review of the book this film is based on that hits all the high points of the film too. So with his permission I've included it below with slight modification. 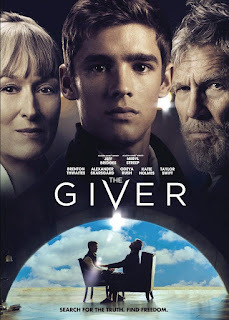 The Giver is a brilliant dystopia – a vision of the future where things have gone horribly wrong. What makes it so brilliant is that in the brief space of a couple hours, we're shown, as dystopian story always do, that the desire to make a utopia always leads to disaster. The original Utopia (which literally means "no-place"), by Thomas More (an English Catholic writing around the time of the Reformation), is a vision of an ideal, perfectly regulated society, where people live their lives with leisure and work balanced, and the wealth is fairly shared among all. 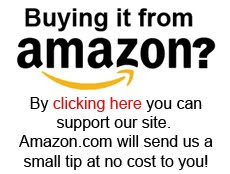 All these features are appealing, but given human nature, any attempt to build society through regulation will result in the stomping out of individuality and the oppressive power of whatever authority we trust to organize everything. Basically, there is a kind of idolatry of human systems and power. Of course, we know that idols always disappoint, and idols always demand horrible sacrifices. That's what's going on in The Giver. The story begins with what looks like an ideal, well-organized society where everyone has his or her specific role set by 18 years old (in the book this all happens by 12). All the angst of adolescence in our society has been taken care of through this selection of each person's career by the community, as well as by the suppression of the disruptive disturbance of teenage hormones. The result is a village in which there is no significant crime; in which each person is given a specific role and, in return, has all his or her needs are met from cradle to grave by the community; and in which both the physical storms and emotional storms have been subdued by technology. This "sameness" has been maintained for generations. Even the memory of the relative chaos of our own society has been wiped out, but the elders of the village have ensured that the past is not entirely lost, so that in the event of crisis, the elders can learn from it. This is where the main character, Jonas, comes in. At eighteen years old, he is given the unique role of the Receiver of the community. What does he receive? The memories of the village before the "sameness" - from the Giver. Jonas's unique knowledge enables him to see what a terrible place our own world is – with war and other suffering – but also what emotional ties like family and romantic love were lost with the oncoming of the "sameness." His own crisis comes when he sees what sacrifices his seemingly utopian village demands to keep its stability. Why would Christians want to watch this? 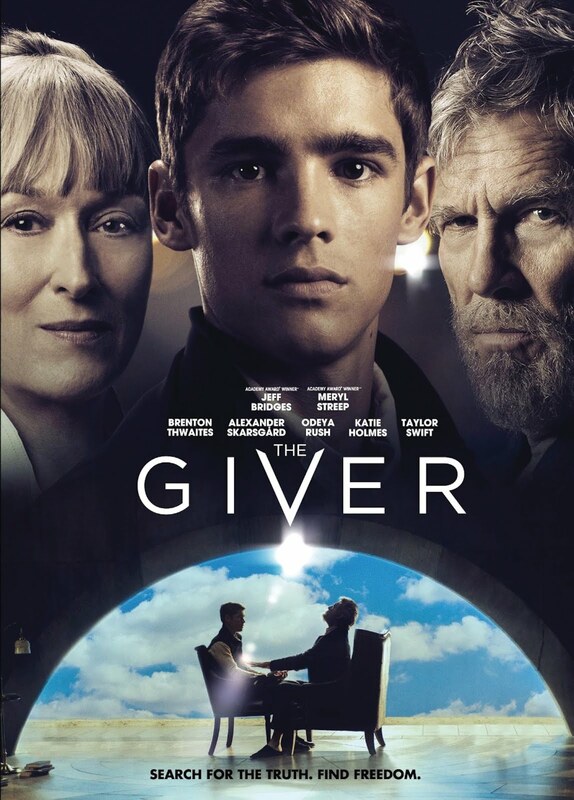 The Giver shows us both the beauty and the cost of human emotion and desire, but also the foolishness of playing God in trying to wipe both out by human power. What we need is not liberation from our own humanness, but liberation from the sin which has corrupted our humanness – by the death of Christ - and the redirection of our emotions and desire – by the work of the Spirit. Neither the book nor the film explicitly put us before God's throne, but both do a fine job of knocking down one of the idols that serve as a stumbling block blocking our view of His glory. The film does differ from the book in some ways, with the most notable being the insertion of some actions scenes. But author Lois Lowry was quite pleased about how her book was translated to the big screen. According to her, yes, this is a different medium, but very much the same story. There are no language and sexual concerns, but some for violence. As the Giver shares his memories with Jonas, one of them is an image of "war" - it's a brief look, but includes a man getting shot in the chest and bleeding, and another man getting shot repeatedly. The most disturbing scene in the film is one of a baby being euthanized by injection - we don't see the actual injection...but we almost do. So no blood, but quite horrifying. I suspect it is this single scene that boosted this from a PG to PG-13 rating, and quite rightly. One other concern would be the way God is portrayed. For the most part, He simply isn't, but among the memories Jonas receives are ones showing the various religions of the world at worship. These are only brief glimpses, and not much is made of them, but neither is Christianity distinguished from any of the others - all religions are treated as equivalent. This is a fantastic film, that hasn't been rated all that highly by the critics. I think that's because they are assessing it simply as entertainment. But this is meant to be a thought-provoking film, one to be discussed and not simply watched. And as such, it rates much higher. I'd recommend it as family viewing so long as the youngest viewers are at least in their teens.